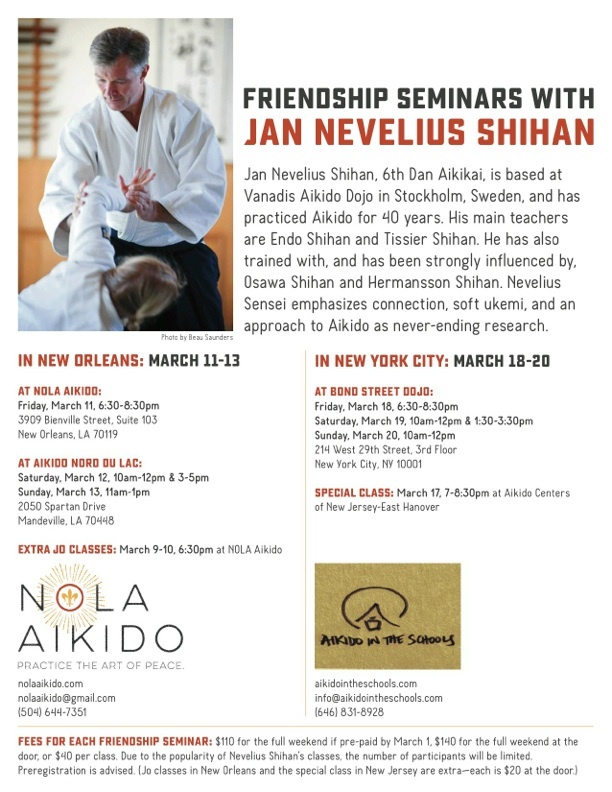 Welcome to the Registration page for the upcoming Friendship Seminar with Jan Nevelius Shihan in New York City, March 18-20th. We are honored to have Nevelius Shihan in town again and are looking forward to seeing you all on the mat !!! Nevelius Shihan will also be teaching a Special Class on March 17th at Aikido Centers of New Jersey in East Hanover. The cost for that special class will be $20 at the door.